We take a short break from our nature-themed post from the Faroe Islands and our Finland hike to show you some unusual things to do in Stockholm. 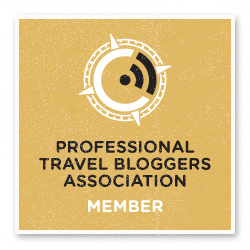 We were in the Swedish capital for TBEX, the travel blogging conference we’ve already attended in Athens, Lloret de Mar and Bangkok. Follow us as we share some unusual ways to explore the city! Our first trip to Stockholm was almost 10 years ago – long enough to feel as if we were visiting the city again for the first time. 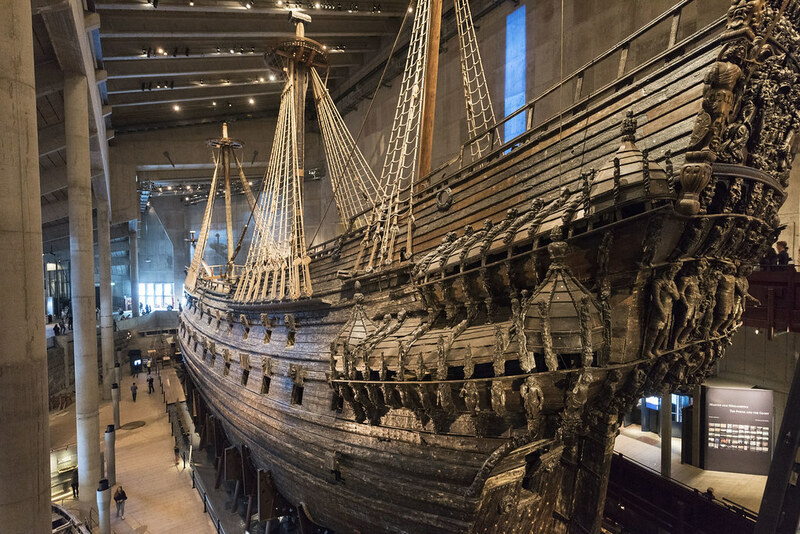 We only had some vague recollections of standing in front of stunning Vasa, the warship kept in the museum of the same name, wandering around the open-air museum Skansen, and eating our weight in raspberries at Saluhallen, Stockholm’s central market. Whenever we visit cities we like to find out unusual things to see and do. This ‘challenge’ started out a few years back, when my best friend Bruno returned from a trip to Berlin totally underwhelmed, stating that it was just like ‘any other city in Europe’. I was like – WHAT? BERLIN? ARE YOU KIDDING ME? Then I understood. 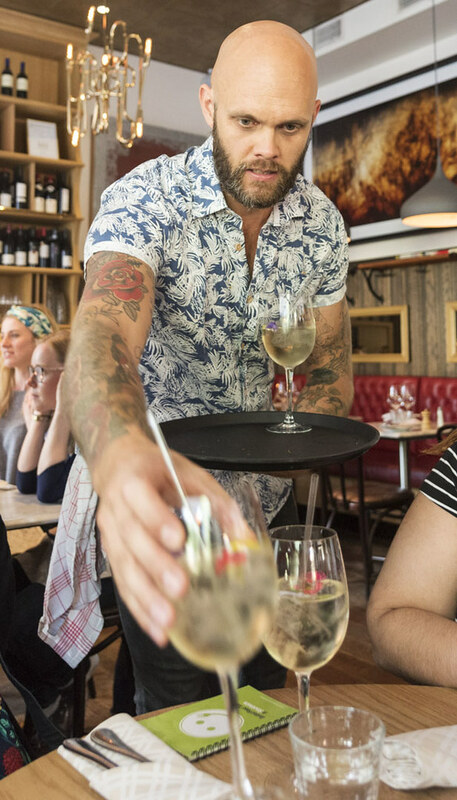 If you only visit tourist-packed city centres, main streets lined with chain stores, pedestrian squares covered in pavement cafes, it is true – all cities look the same these days. Delve a little deeper, and you’ll find out that each city has a special soul. Move away from the obvious and you’ll find some gems. Ever since we started searching for unusual things to do, we had some really awesome and unique experiences – we watched the sunset from Civil War bunkers in Barcelona, toured the Helsinki islands, went urbexing in Berlin, followed a trail of crazy sculptures in Prague and found the places were history and creativity meet in Vilnius. Stockholm was going to be no exception. 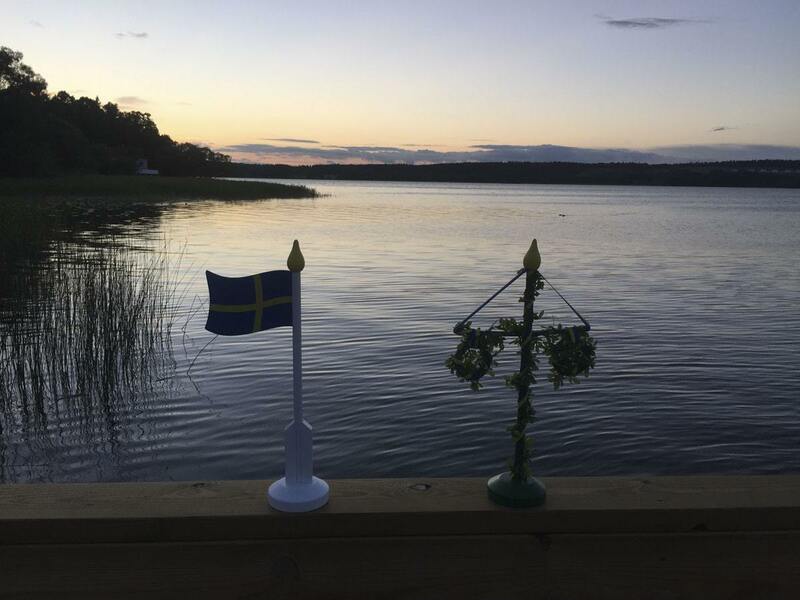 Before we sailed away from the Åland Islands, we started looking for unusual things to do in Stockholm and compiled a list that would take us two or three weeks to go through. Here’s what we and a friend experienced during a week in the city! It all started with this picture from my friend’s Veera Bianca’s Instagram. 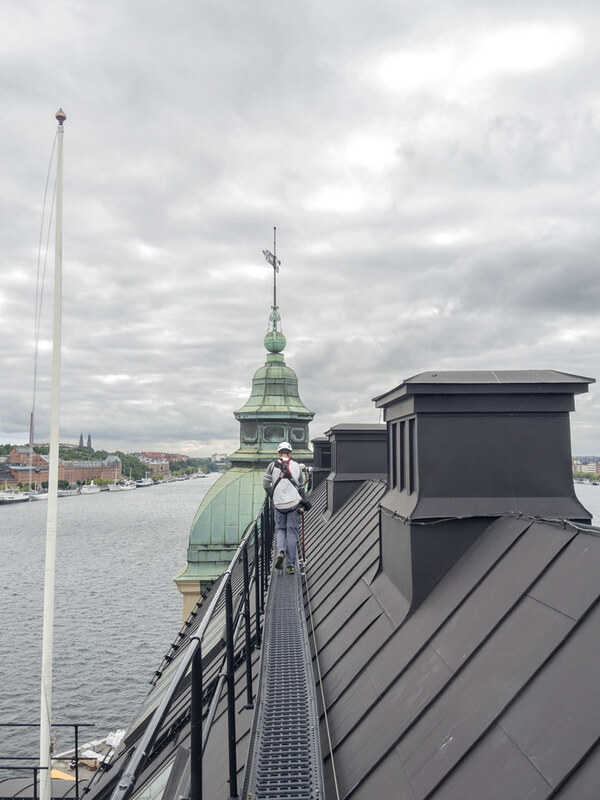 Walking on a rooftop in Stockholm. Oh yes, please. Stockholm is a stunning city. It’s elegant, with a skyline of onion domes and step gable façades, overlooking the sea and Lake Mälaren. 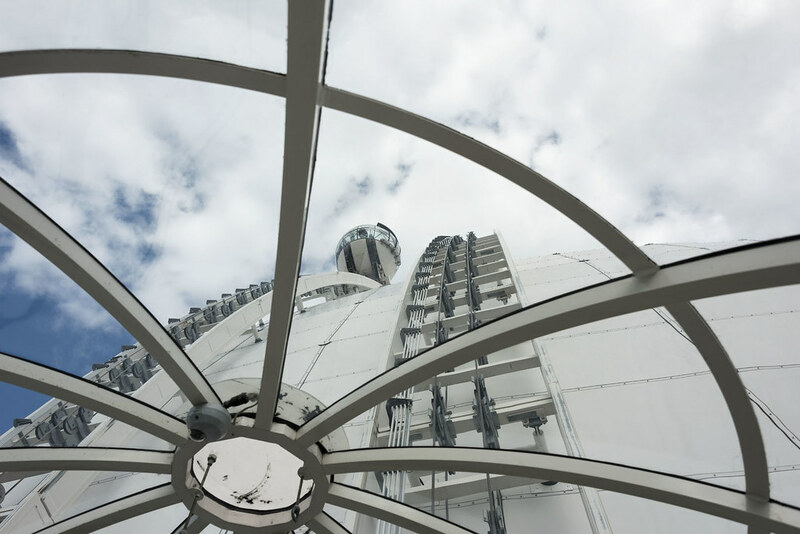 It’s the kind of city that demands being admired from above – there are plenty of vantage viewpoints to take beautiful pictures from up high, but walking to the top of a hill is kind of boring, right? Much better to walk over a rooftop to get a view of the city! 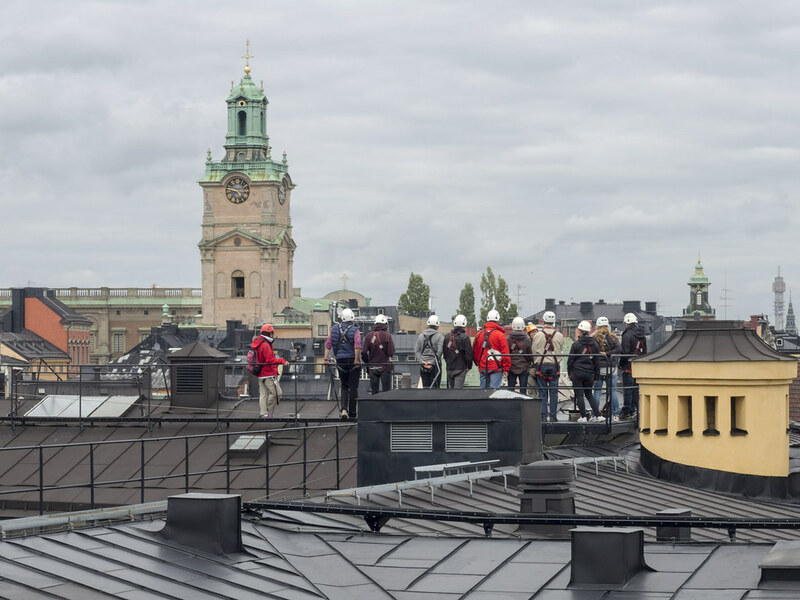 The tour takes place on the rooftop of the Old Parliament, on the island of Riddarholmen. 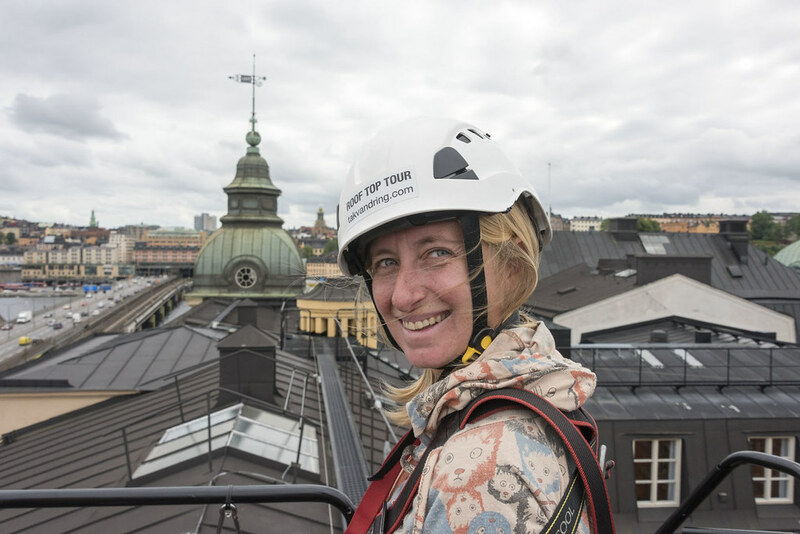 After a quick briefing in the Parliament’s attic we all donned full-body harnesses and ferrata-style clips and climbed over to the roof. On the top there’s a catwalk with a security steel cable running all around it, and four platforms where we could all stop and listen to the guide telling us tales about the city from an unusual perspective. On one side, we saw medieval Riddarholmen and Gamla Stan, Stockholm’s old town, where touristy shops and restaurants couldn’t drown the Medieval flair, and one can still (kind of) get lost beneath the maze of tiny backstreets and secluded courtyards. From up on the roofs, the tourists were just tiny moving dots, and we could appreciate the skyline in all its elegance. 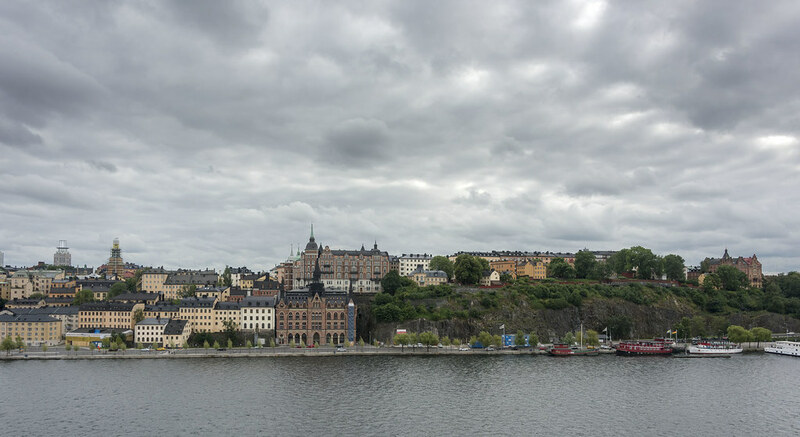 Looking south, we saw Lake Mälaren and Södermalm, the former working-class neighbourhood, now full of hipster cafés, falafel stalls and trendy bars. 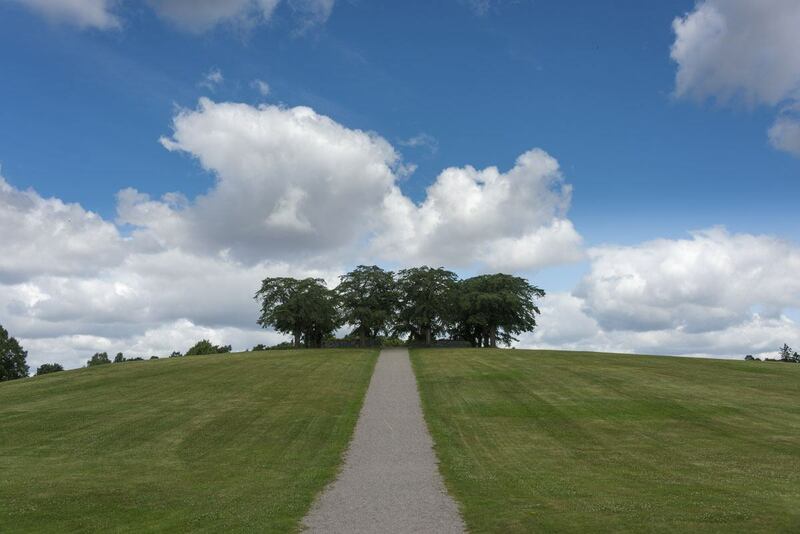 Further away, we could glimpse the island of Långholmen, one of Stockholm’s green oases. 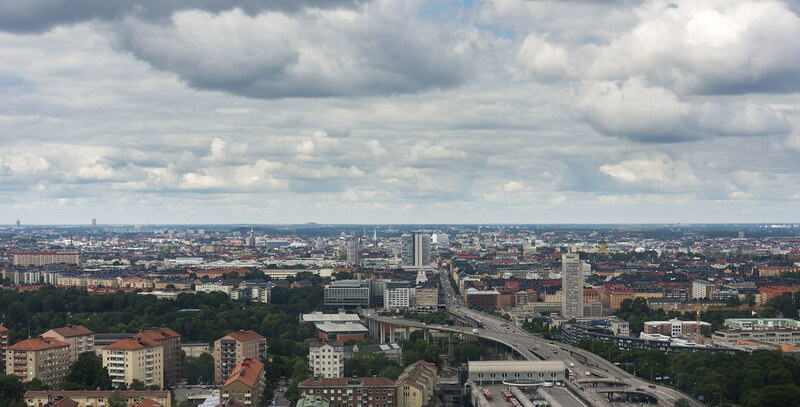 Our guide explained that for centuries the city’s ‘human waste’ was emptied on Långholmen, making its soil fertile and slowly turning it into the green paradise it is today. I bet you may be wondering if the rooftop tour was scary or not. In my opinion, it wasn’t. True, I’m fairly used to heights (especially after going bungee jumping in Biella last year). Yet, neither I nor anyone else in my group felt unsafe on the rooftop – the catwalk is wide enough and the steel cable feels sturdy, and you are never ‘exposed’ to the void. 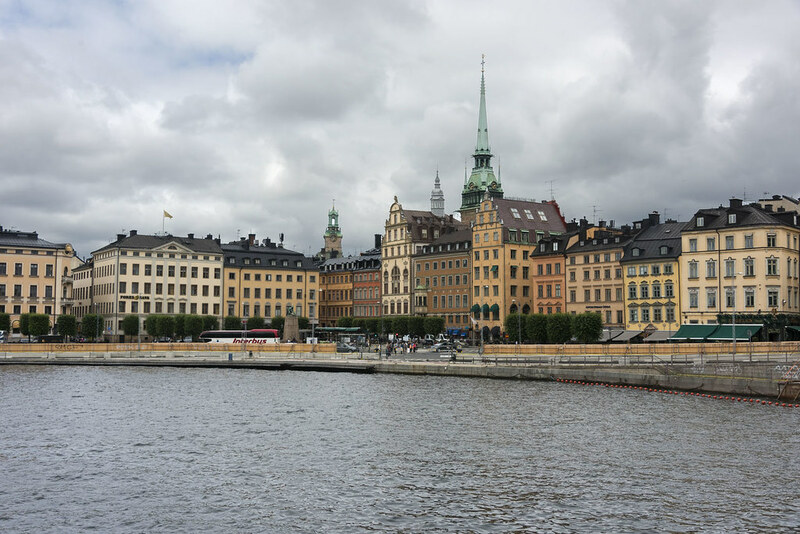 If you want to admire the beauty of Stockholm and learn a little about history from an unusual perspective, this is the tour for you! It sounds incredible, and even I would not believe it, had I not participated in this tour – in Stockholm you can just hop in your car and drive for about half an hour, and you’ll find yourself in the middle of the forest. 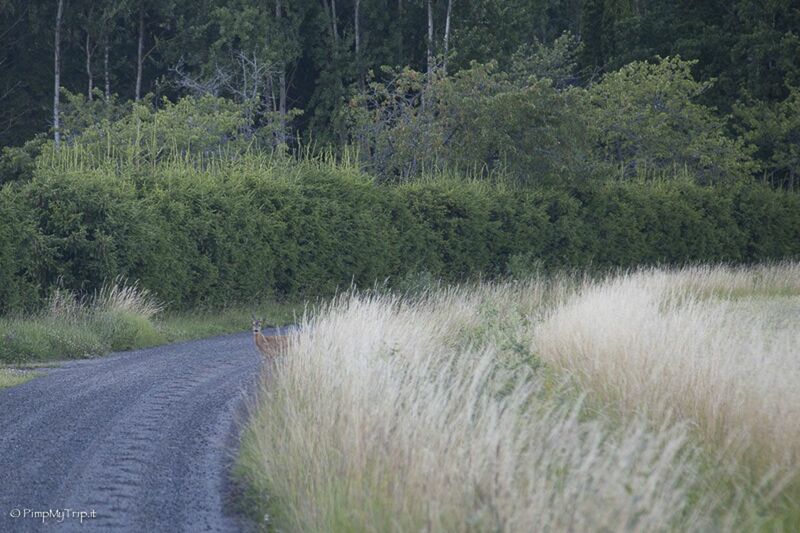 Here, you’ll have the opportunity to meet another kind of Swede – wild animals! 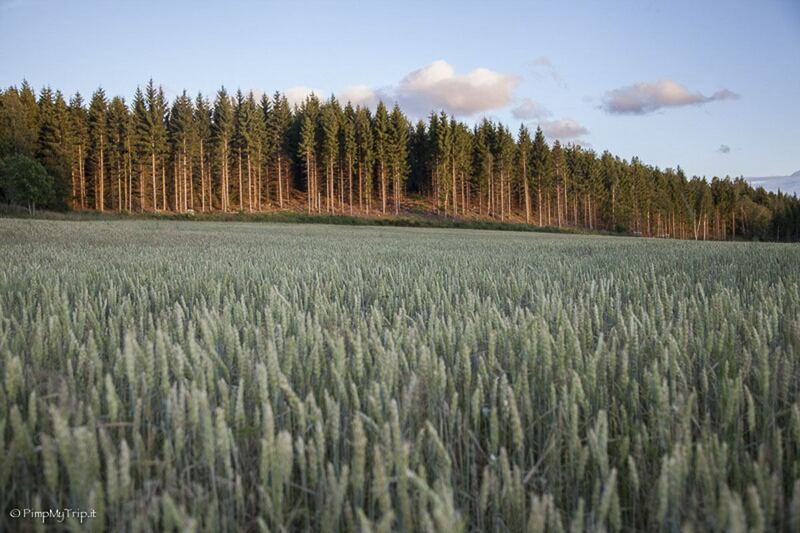 The best time to observe moose, deer and wild boar is at dusk, when animals leave the dense and impenetrable woods to go in search of water and food in the wheat fields all around the forest. Our Stockholm Adventures guide welcomed us on a comfortable minivan and provided us with binoculars. We especially hoped to spot the king of the northern forest: the moose. After a few hours of safari, satisfied with our encounters, we finished off with a hearty picnic by the lake and enjoyed the show of the Swedish ‘nights without night’. How likely is it to spot a moose? In fact, as I always say, nature doesn’t follow orders – but often, when we least expect it, nature manages to surprise us, giving us moments that we will never forget. Spotting moose is not 100% guaranteed but as the tour guide whispered winking his eye at the beginning of the tour, the odds are very high. He was right – during the safari we spotted 5 moose, lots of deer and some wild boar. The wildlife safari is an excellent opportunity to learn about the ‘wild’ side of this amazing and unusual city! Exploring Södermalm was definitely on our cards this time. During our first visit 10 years ago we were told that Södermalm was ‘dangerous’ and there was ‘nothing to see’ – little did we know that often places dismissed as not very interesting hide amazing surprises. We opted to visit Södermalm on a food tour. 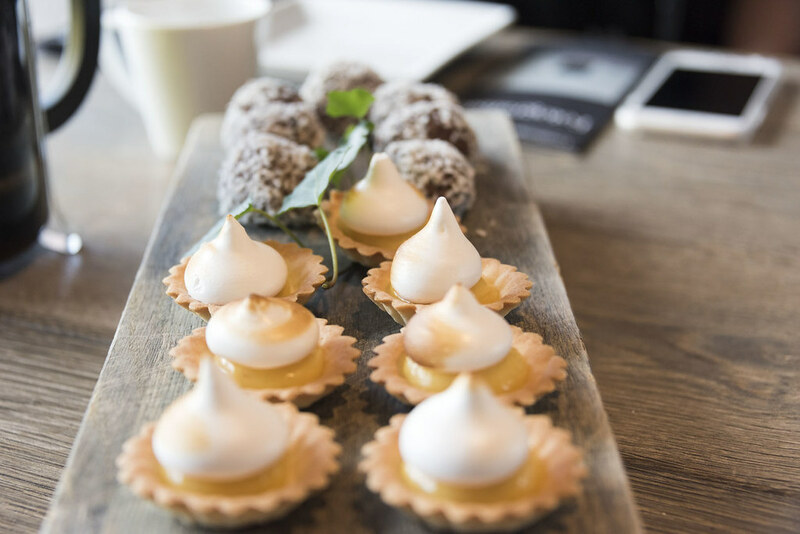 Partly because we love food tours (we’ve done some awesome food tours in Barcelona & Sorrento) and partly because we thought it would be a great way to explore the blend of hipsterism and multiculturalism typical of the area. Not to mention that we had had enough of Nordic food after over a month in Finland, and we were both looking forward to a change. 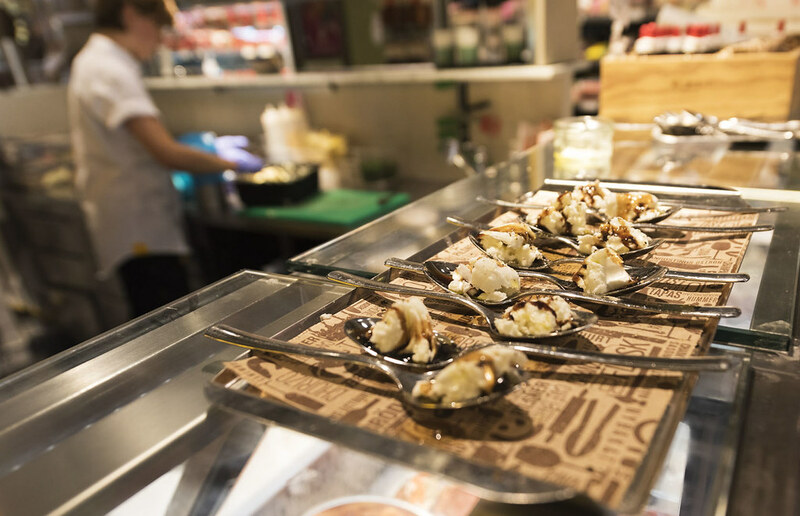 The Culinary Södermalm tour with Food Tours Stockholm was exactly what we were after. We spent four hours wandering around the neighbourhood, sampling delicacies including homemade chocolates, buns stuffed with sticky Chinese pork and crunchy, spicy cucumbers, a Bangladesh thali and some truly amazing pasta from one of Stockholm’s best Italian restaurants. Meanwhile, we learnt some interesting stories about food in Sweden. For instance, Chinese food in Sweden is not served communal style, like in China and everywhere else I’ve been – it’s served on four small individual plates, kind of tapas-style, because Swedes are too shy to share from the same plate. 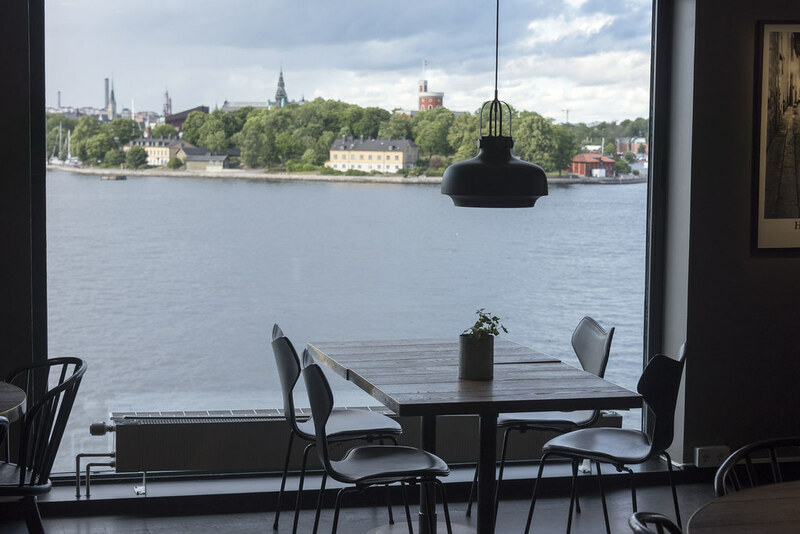 That’s exactly where we ended our Culinary Södermalm tour, with a fika from the top floor bar of Fotografiska, overlooking the islands of Kastellholmen and Djurgården. 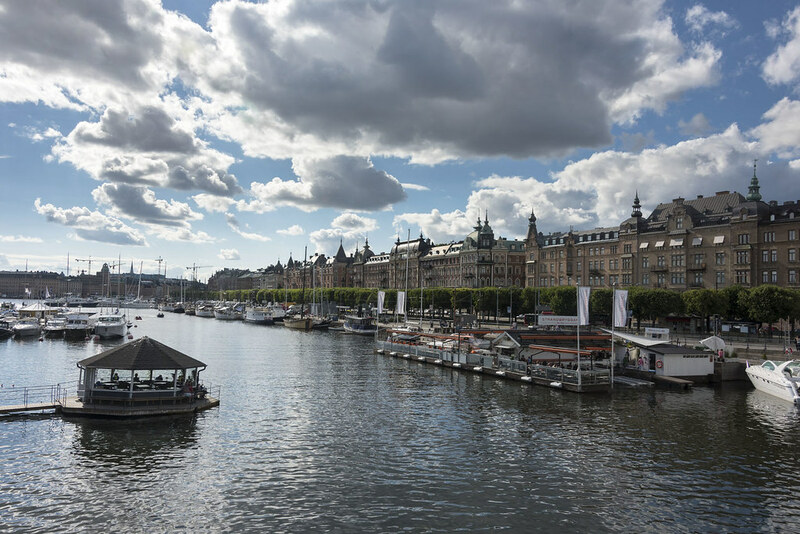 We loved the location of the museum, in a former customs house on the northern shore of Södermalm, and decided to return the following day to have a closer look at the exhibitions. 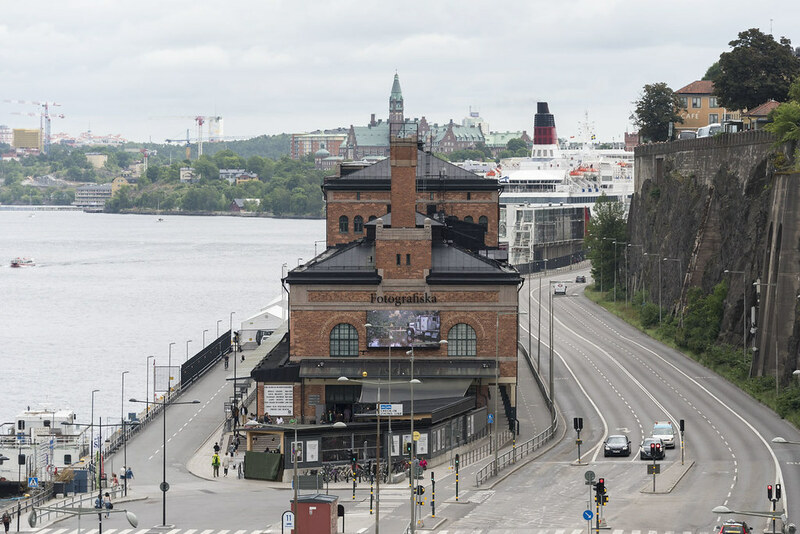 Fotografiska is often referred to as the ‘Photography Museum’ of Stockholm – in fact, it’s not actually a museum, as it doesn’t have a permanent collection. 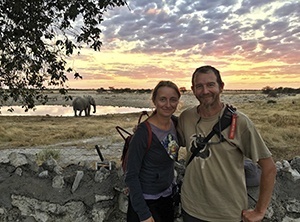 Exhibitions rotate every few months – when we visited, mid-July 2016, we enjoyed a stunning exhibition by American wildlife photographer Nick Brandt, called Inherit the Dust. We also saw Bryan Adams’s pictures of celebrities and veterans and some interesting exhibitions by Nordic photographers. Fotografiska is a must in Stockholm for all photography lovers. Looking at current and future exhibition you’ll notice that some really big names have exhibited at Fotografiska. If you’re looking for some inspiration on how to improve your craft, or simply want to check out some truly awesome photography, don’t miss it! 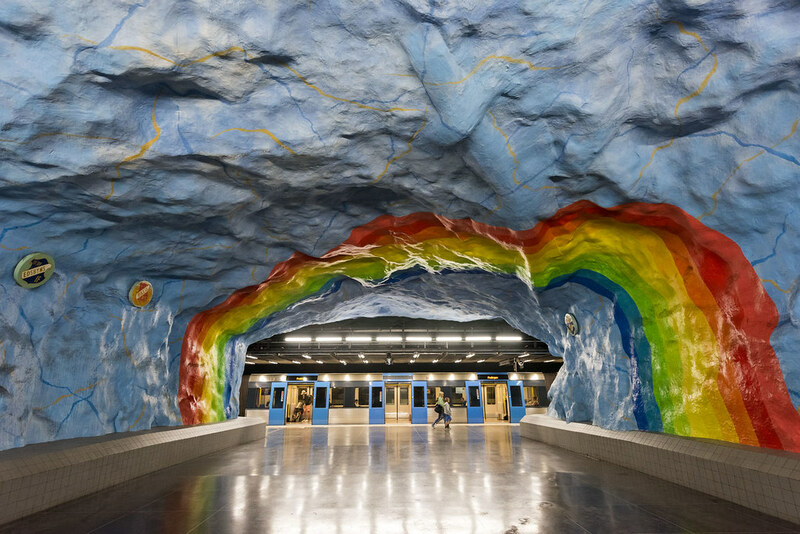 The Tunnelbana is also called ‘the world’s longest art exhibition’, because more than 90 of its 100 stations are decorated by over 150 different artists, from the 1960s to today. You’ll find sculptures, rock formations, mosaics, paintings, installations, engravings and reliefs – some on a monumental scale, others almost hidden in the folds of the great, busy stations. 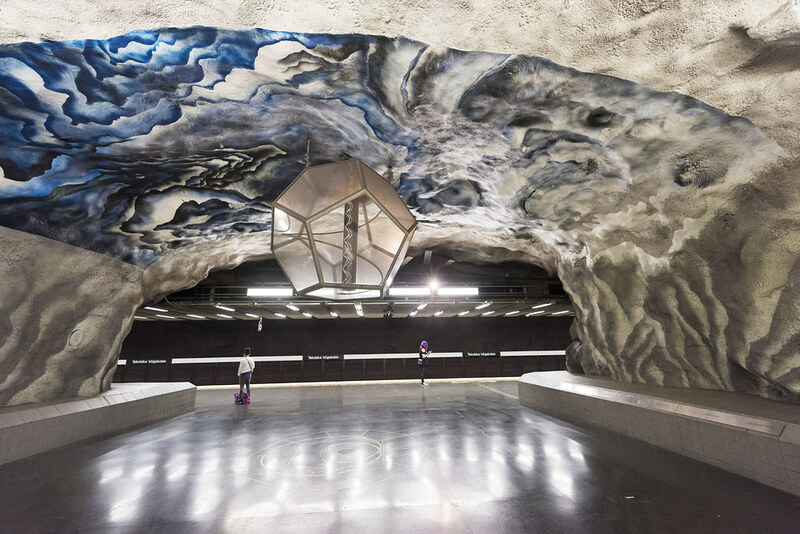 There are free tours to discover art in the Tunnelbana. We started our exploration with one of these tours, and it was indeed a great introduction, but it was a bit too rushed and crowded. 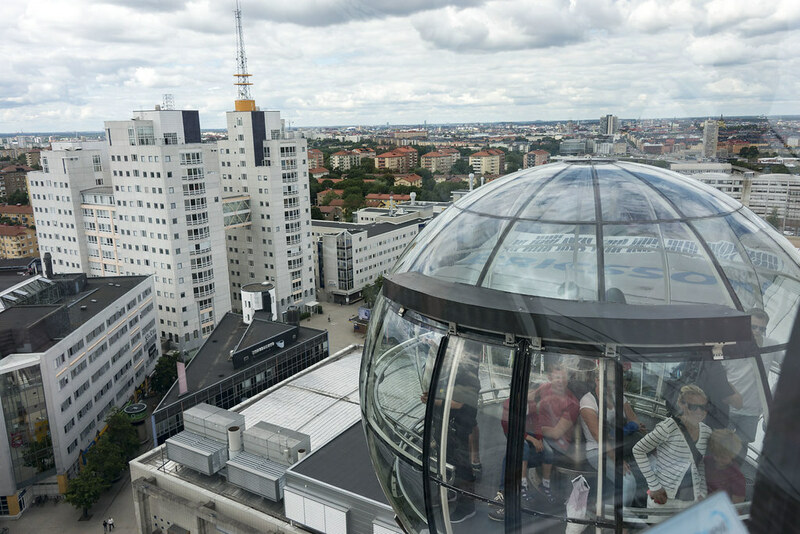 We recommend instead exploring the Tunnelbana at your own pace, hopping on and off the trains and stopping at whatever station takes your fancy. There are three colour-coded lines in the Tunnelbana – Red, Blue and Green. Stations among the blue line are the famous ‘cave stations’, the deepest of the three lines – some notable stops along the blue line include T-Centralen, Rådhuset, Kungsträdgården and Solna Centrum. 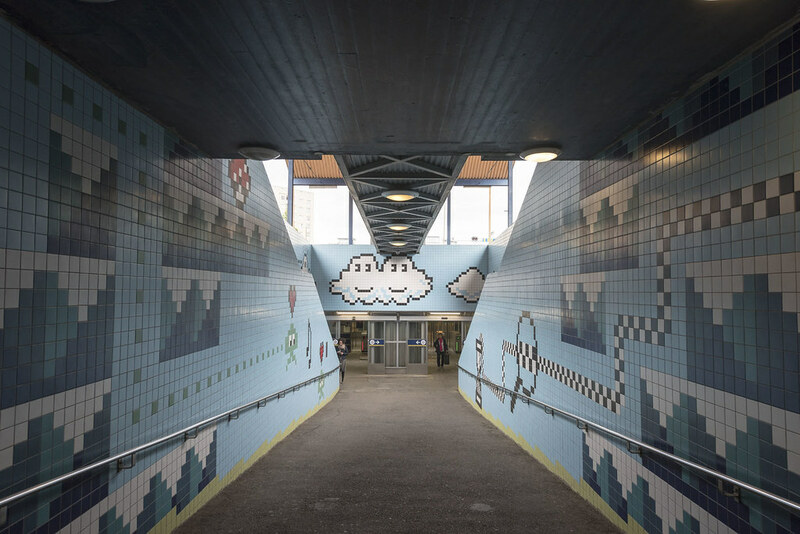 The green line is mostly built above ground, and doesn’t offer much in terms of art – a notable exception is Thorildsplan and its Eighties-videogame tile decoration. Other cool stations along the red line are Stadion, Tekniska Högskolan and Universitet, conveniently located one after the other. During our food tour of Södermalm we noticed the Ericsson Globe, an indoor arena used for concerts and hockey matches. It is also the largest hemispherical building in the world, looking like a large white ball landed in the southern part of town. 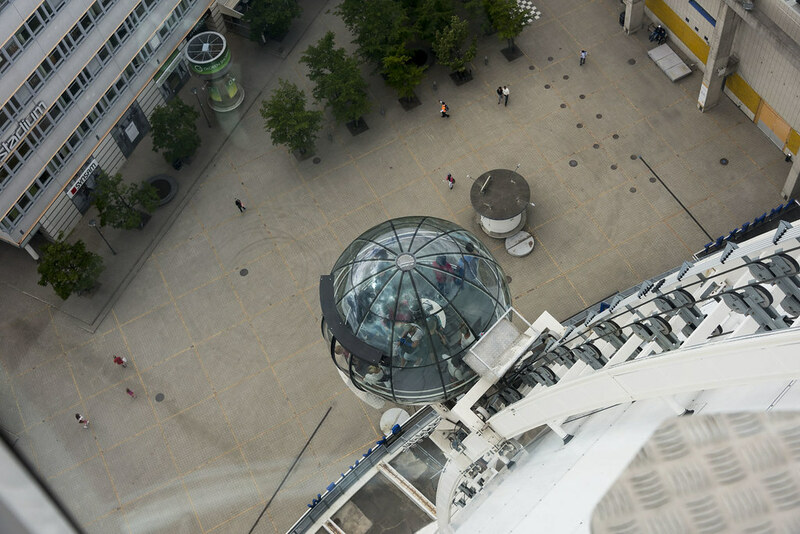 It’s possible to get to the top of the Globe on the SkyView, two crystal ball-shaped gondolas on rails. I love gimmicks and quirky buildings so, naturally, we hopped on the Tunnelbana and got off at the ‘Globen’ stop to check it out. The SkyView fills up quick – we had to wait over an hour for the first available tickets, and waiting times just seemed to increase as we got closer to evening. After a quick video we boarded the SkyView, which soon started moving over the curved profile of the Globe. Up and down takes about half an hour – the view is nice, but admittedly there are better views in Stockholm. 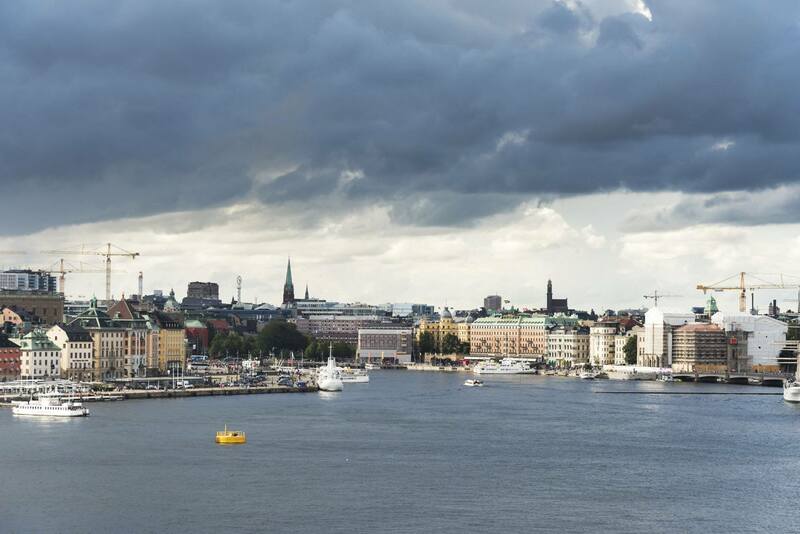 The Globe is a little too far from Gamla Stan and the rest of Central Stockholm – if views is what you’re after, you’d better take the Rooftop Tour or choose another vantage point. But if you love gimmicks and oddities, don’t miss it. 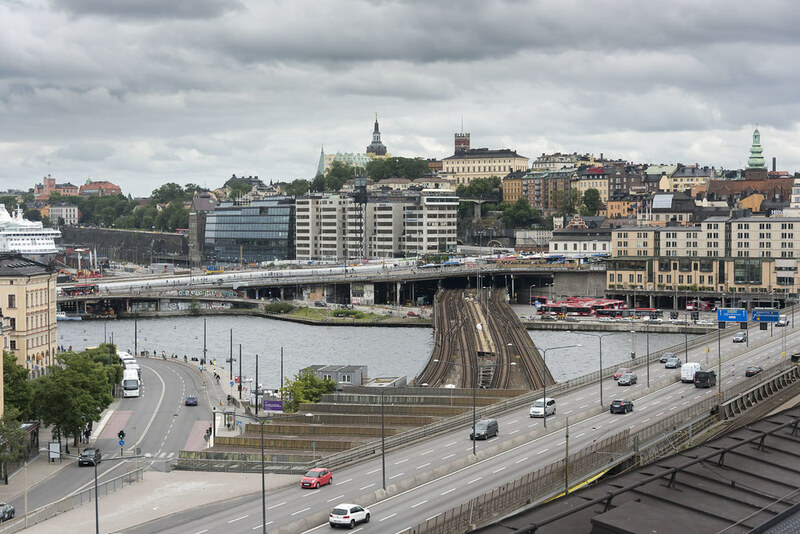 Stockholm is one of Europe’s greenest cities, a pioneer when talking about recycling, urban green and the relationship between people and nature. Parks and gardens are reason enough to visit – one of the highlights of our first Stockholm trip was visiting Skansen, an open-air zoo and museum located on the island of Djurgården. Context Travel recently launched an eco Stockholm tour including the Woodland Cemetery and an eco-village located south of the centre. 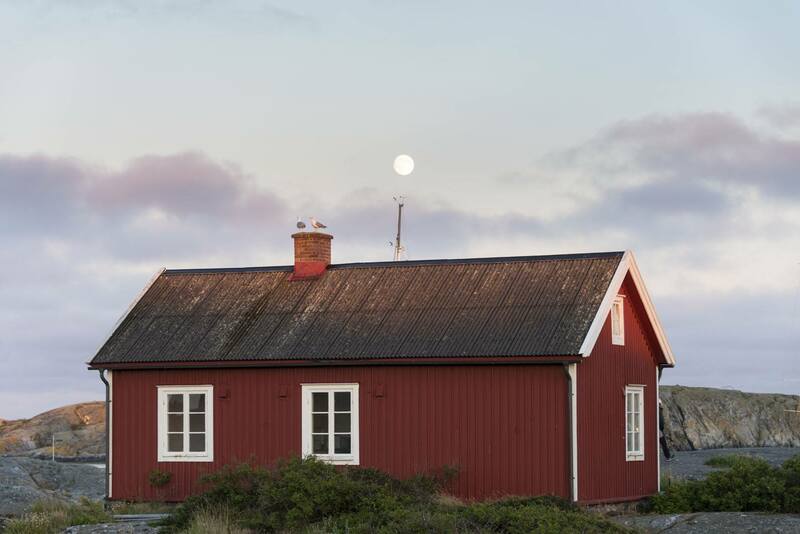 The 3-hour tour starts in the eco-village Understenshöjden, built in the 1980s according to the principles of eco sustainability and communal living. The village is 20 minutes from the city, yet feels like a world away – it was built around existing nature, instead of altering nature to accommodate it. 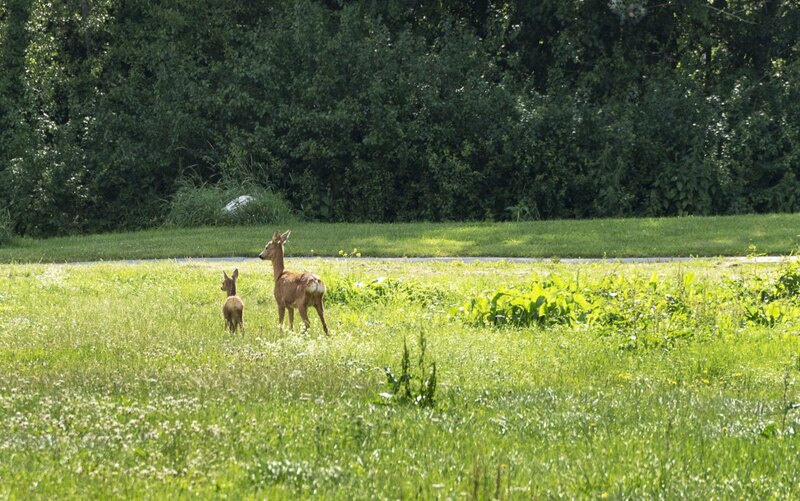 During our short jaunt around it we met a roe deer with her fawn, hopping across a meadow. The second stop of the tour was Skogskyrkogården, a UNESCO-listed cemetery and one of the most evocative places in Stockholm. Similarly to the eco village, the cemetery was built around existing nature. Gravestones are surrounded by secular trees, hedges and hills. Clouds chase one another in the wide Nordic skies. Flowers bloom, birds flutter all around. As our guide said, ‘Well, I wouldn’t mind being buried here, in the heart of Green Stockholm’. 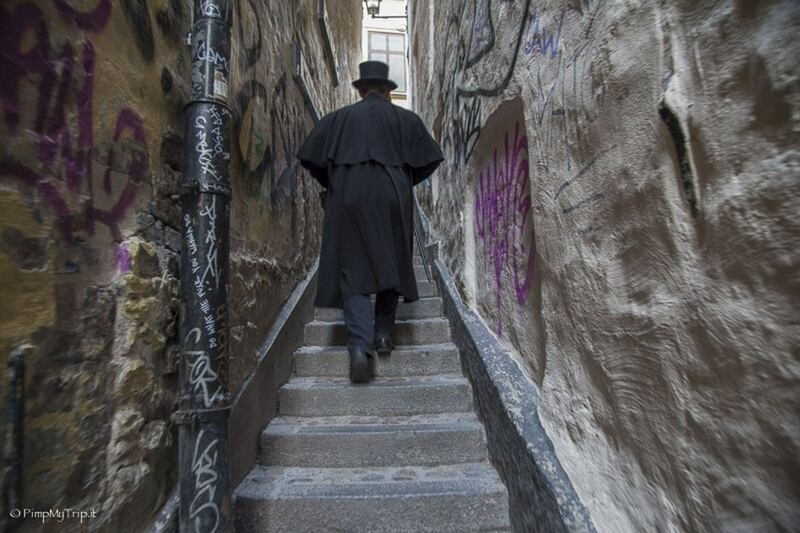 The Stockholm Ghost Walk is a walking tour around charming Gamla Stan, the Old Town, through streets and squares full of memories and ideas, legends and folklore. 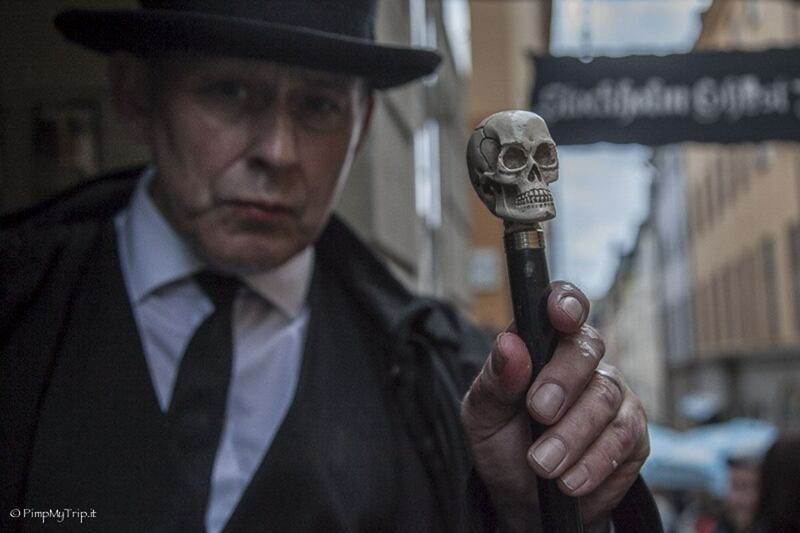 Listening to the tales of the ‘storyteller’, recognisable by a black cloak, a top hat and walking stick with a skull, it was as if the most charming corners of Stockholm were talking to us. The stories are the result of historical research and popular folklore legends – nothing of what we were told was made up! The ghost tour is a new and exciting way to learn about Stockholm, exploring its darker side through tales of medieval murders, haunted hotels and ancient secrets. And who knows – maybe something supernatural will happen for real! Finding a decent place to stay without blowing the bank is likely to be a challenge in Stockholm. Like other Nordic cities, Stockholm is quite expensive – a simple meal is likely to cost €20 or more, and even a dorm bed is around €30. Even a simple fika will probably set you off €6-8. Staying in an apartment is a great idea to save pennies – you get the chance to cook for yourself and usually have more space than a hostel or budget hotel. During our winter visit to Helsinki we got to know Forenom Apartments, offering furnished apartments for short periods in Helsinki, Stockholm and other Nordic cities. We loved our stay in Helsinki and decided to opt for Forenom again, given the great value for money of their accommodation. 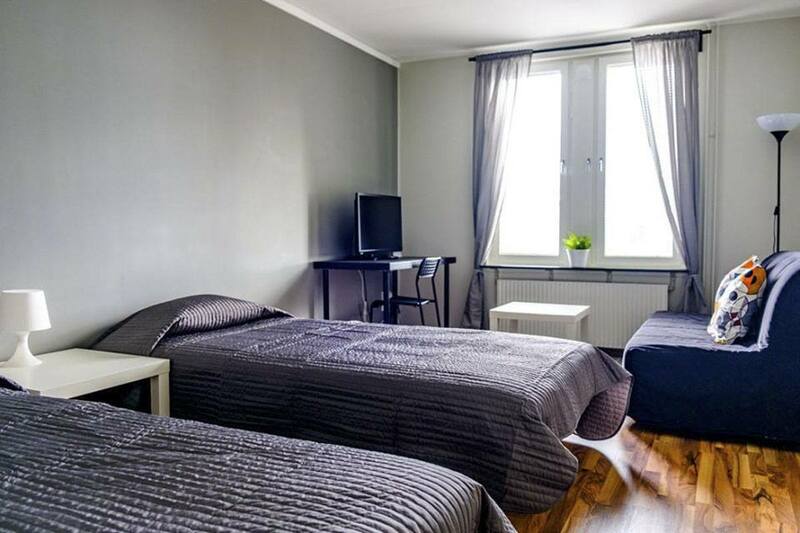 We stayed at their Solna apartments, conveniently located just 5 stops away from T-Central on the Tunnelbana. Our apartment had everything we needed for a short stay – cooking equipment, a small fridge, a comfortable double room and even a desk for the (rare) moments we felt like working during our Stockholm stay. Naturally, we also had a filter coffee machine – now we know how much the Finns and Swedes love their coffee! 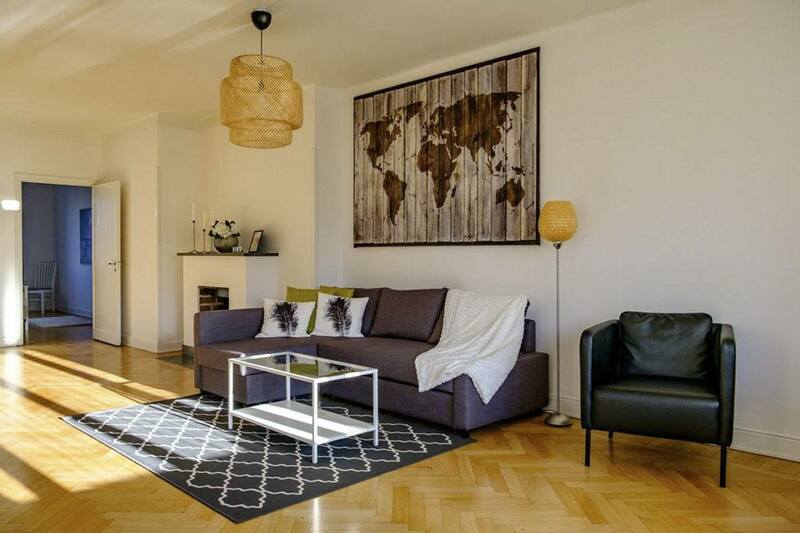 If Solna is a bit too far from the centre and nightlife, Forenom also have apartments for rent in Kungsholmen, one of Stockholm’s coolest ‘hoods with plenty of smoothie bars, coffee shops and falafel places. These apartments are probably better for families and larger groups, as they fit 4-6 people, but they’re absolutely S-T-U-N-N-I-N-G. Large rooms with wooden floors, flooded with natural light, tastefully decorated and with great views over the streets below. Highly recommended! We visited Stockholm in occasion of TBEX Europe 2016. We received complimentary accommodation and complimentary places on some of the tours and activities mentioned in this article. As always, all opinions are our own. Wow, so many amazing things to do in Stockholm! Thanks for this. Now I’m really looking forward to my trip there later this month. Quick question: you mentioned an “open-air zoo” in Skansen. I’m not sure what you mean by that. Is it part of the Green Stockholm Tour? I’d like to do the tour but do not want to give my support to a place that exploits animals for entertainment. Thanks again! Hi Wendy! No, Skansen is not part of the Green Stockholm tour. 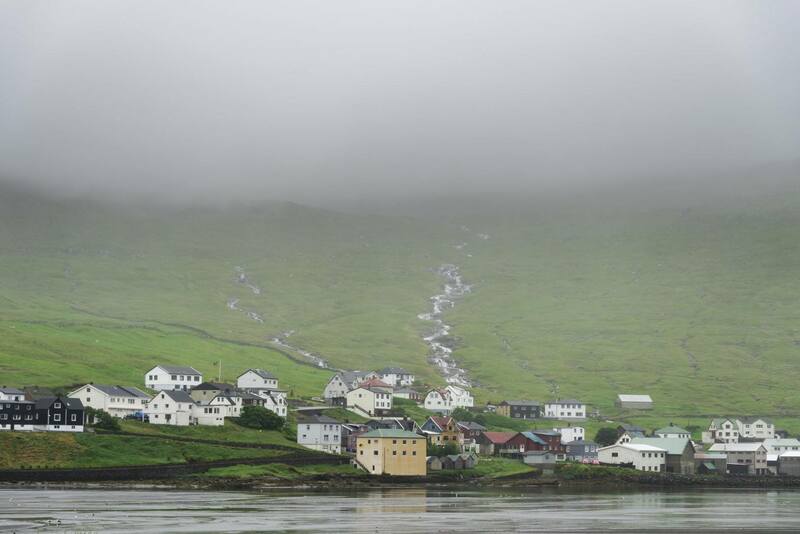 The tour only includes the Cemetery and the eco village, so you can do it no problem! I visited the Skansen zoo ages ago, and I’ve no information on whether or not it is a sustainable place. Thanks for your comment!